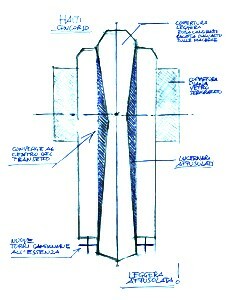 Studio di architettura di Milano che si distingue per l'accurata progettazione: ristrutturazioni di appartamenti, arredi su misura, architetture di tendenza. 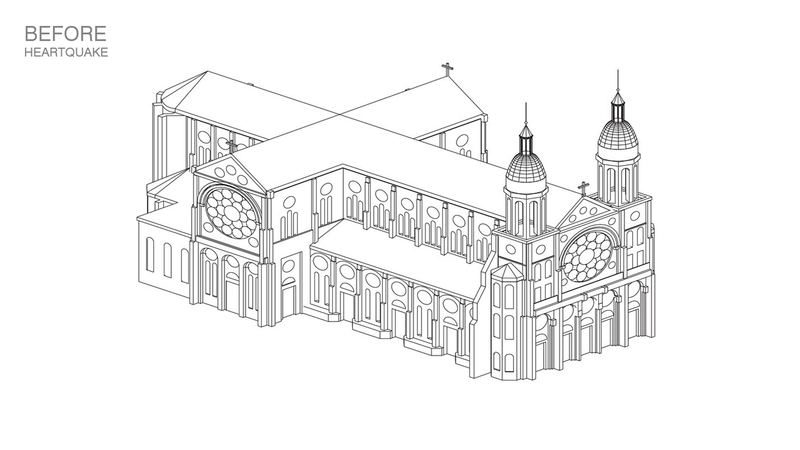 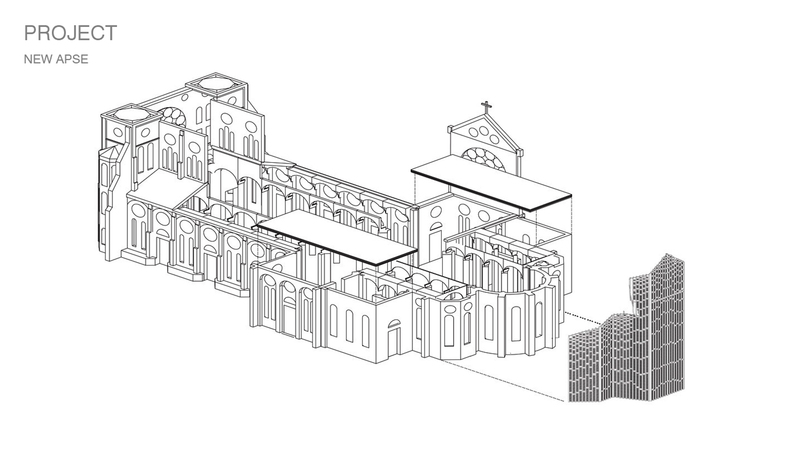 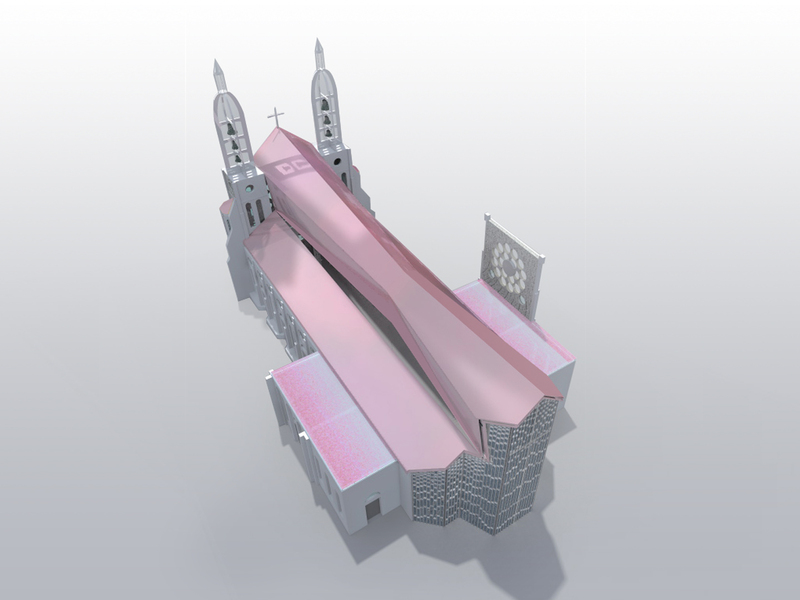 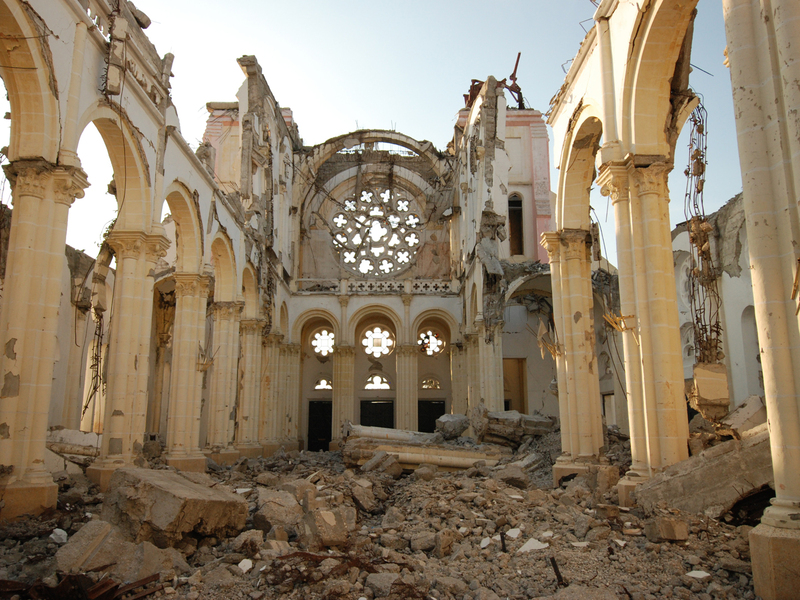 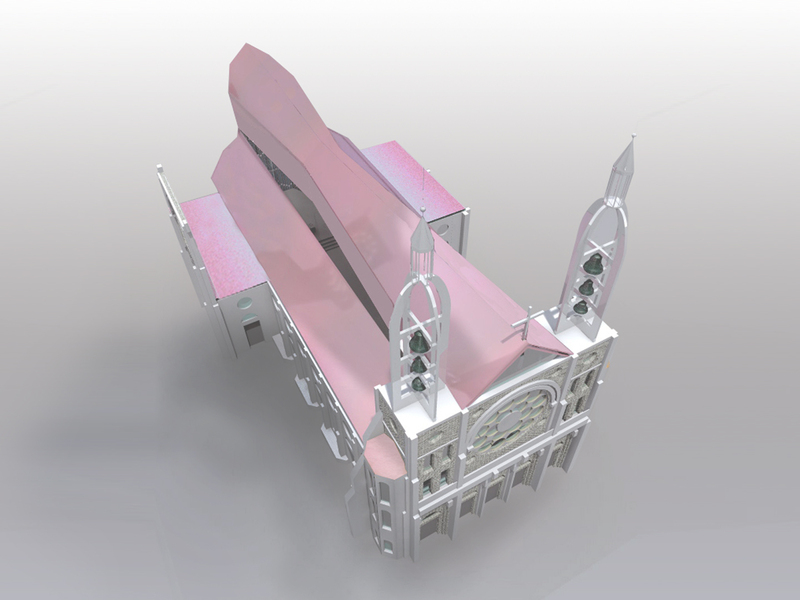 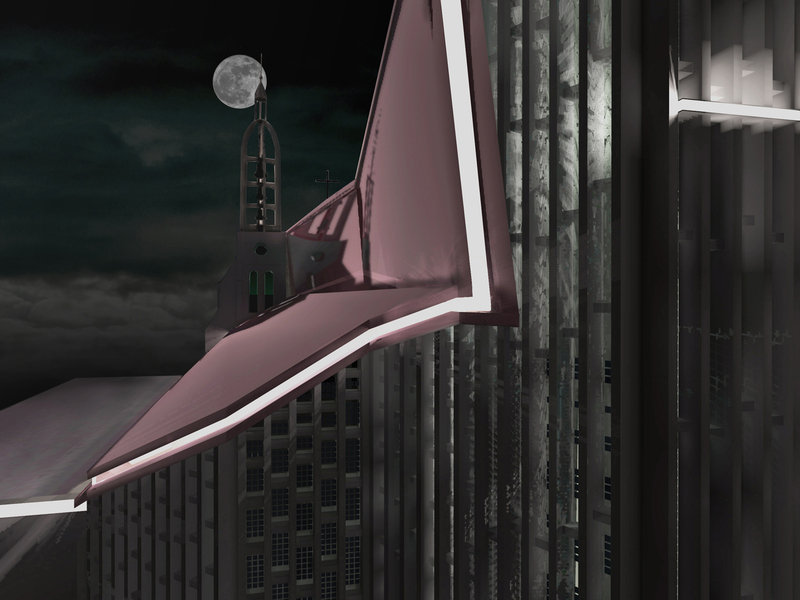 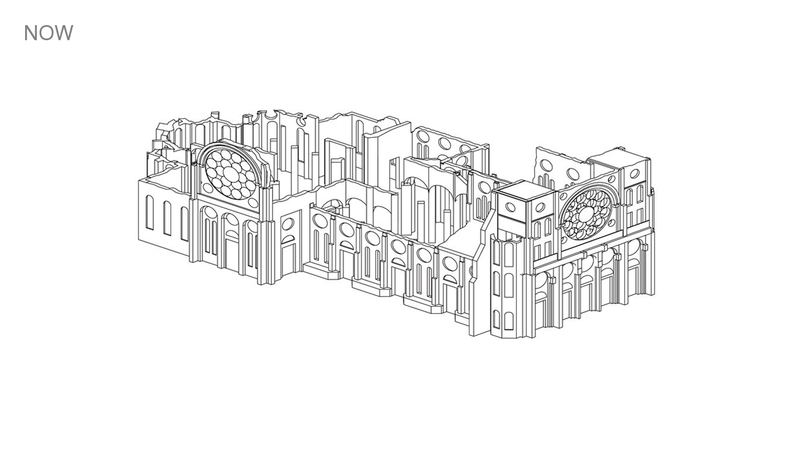 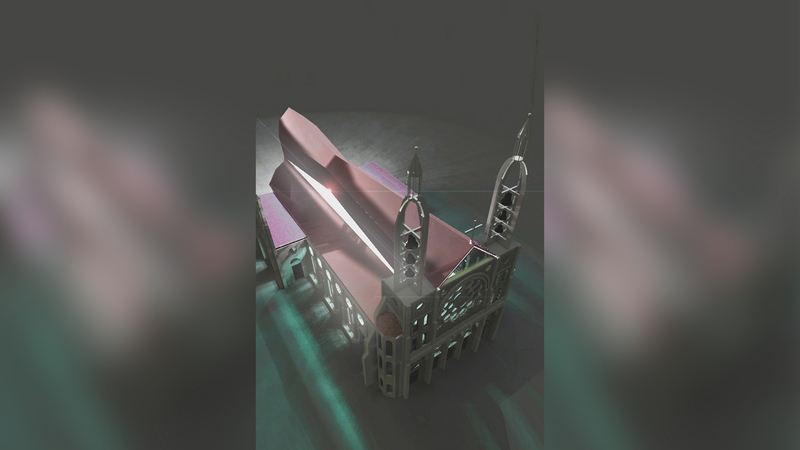 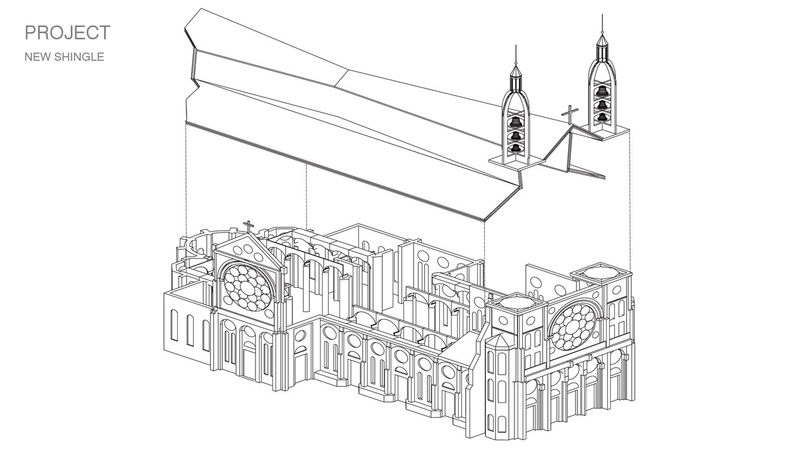 The concept of the project is to preserve parts of the cathedral that survived the earthquake as evidence of the past, to lean over a new architecture characterized especially by a self-supported asymmetric coverage realized in bent sheet metal, the color of which, iridescent pink, varies according the sunlight. 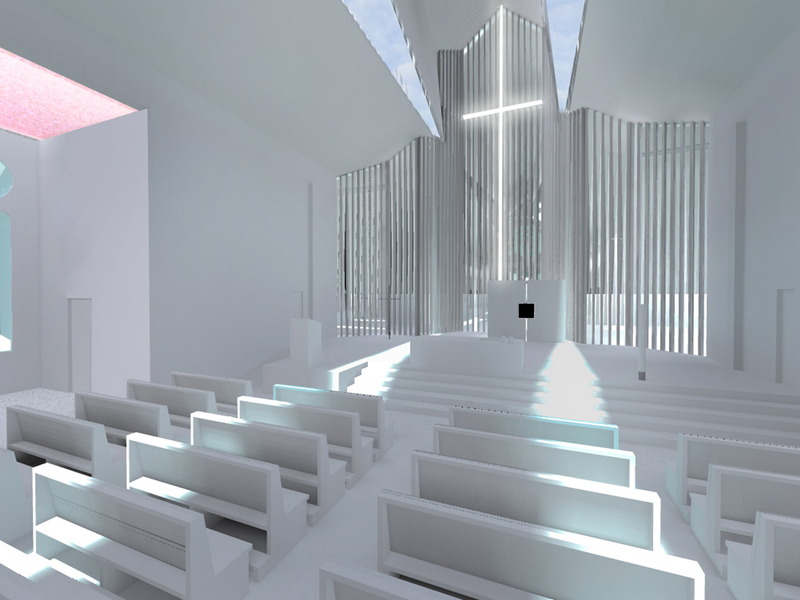 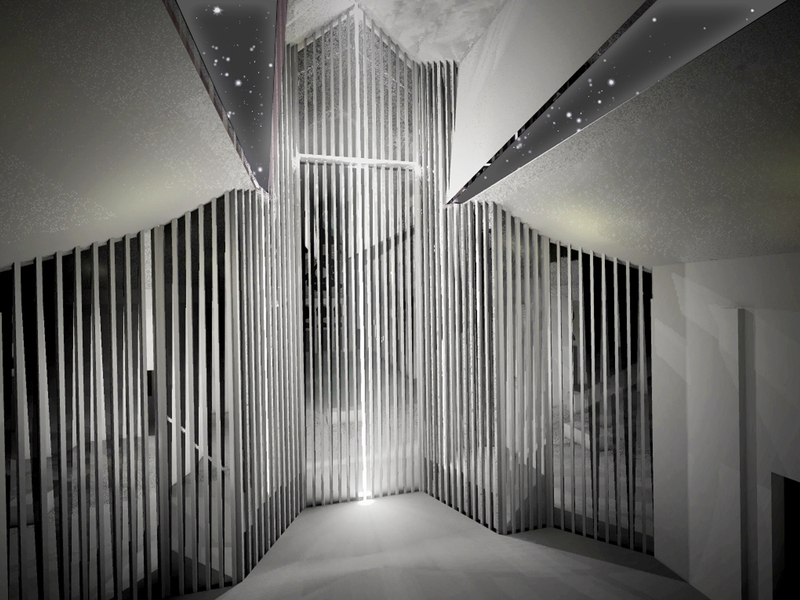 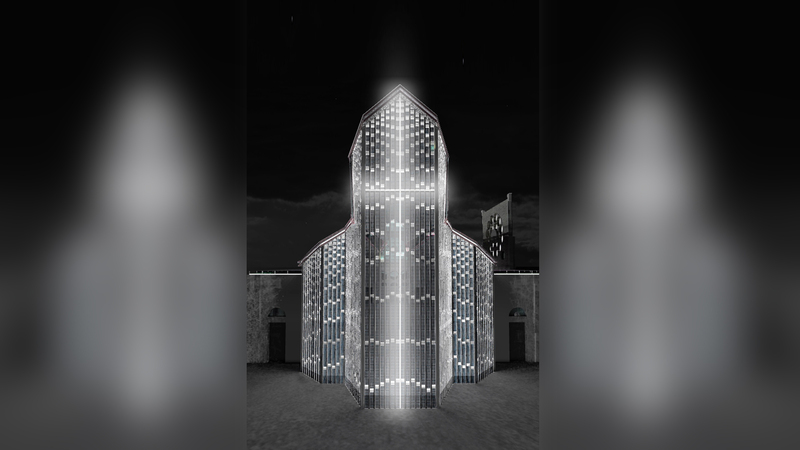 Light becomes real material of the project, exalting the design of the new apse. 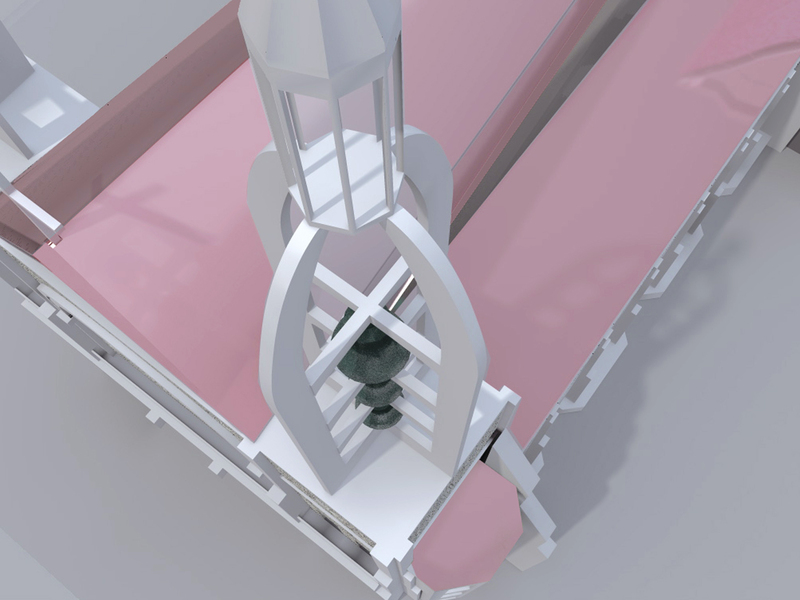 The internal arrangement allows to completely free the space from pre existing columns, in order to allow a more airy perception of the interior.